The double-jointed gear couplings of the ZAPEX ZW series compensate angular, parallel and axial misalignment of shafts. They are particularly suitable for use under rough operating conditions such as drives in the iron smelting or cement industry. The series comprises 31 sizes of which many are available ex stock. 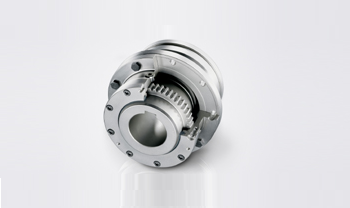 In addition to the standard series, couplings up to 10,000,000 Nm can be offered. Zapex coupling types are constructed on a modular principle, so application-related solutions can be delivered quickly. This coupling requires very little maintenance, with regular grease changes at the prescribed intervals prolonging coupling life.